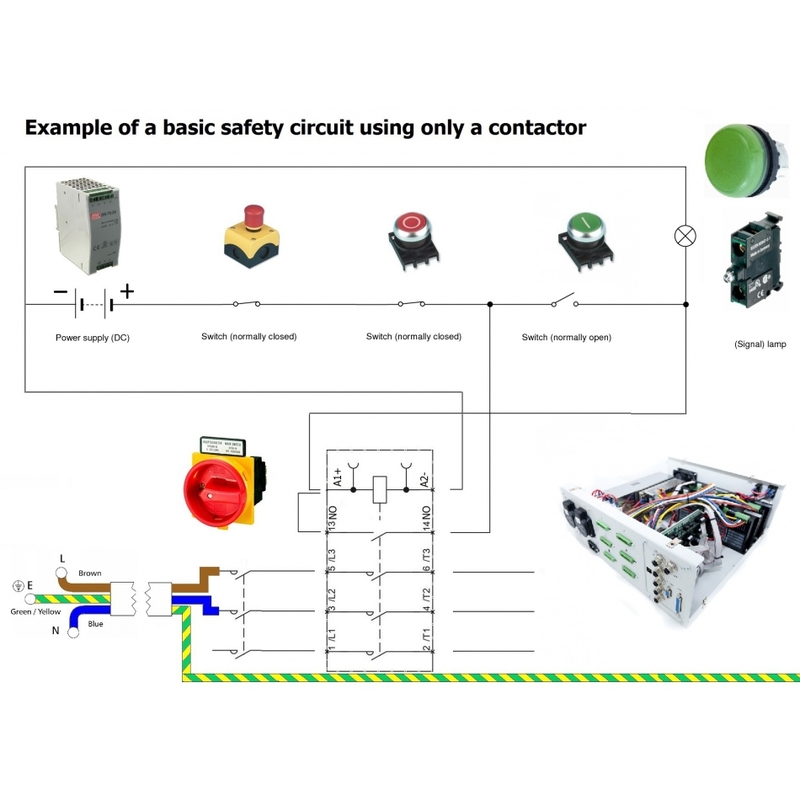 Example Basic Safety Circuit parts set using Eaton Moeller products: | DamenCNC B.V.
An example of how a very basic Safety Circuit can be made. For simple machines this circuit will comply with regulations. 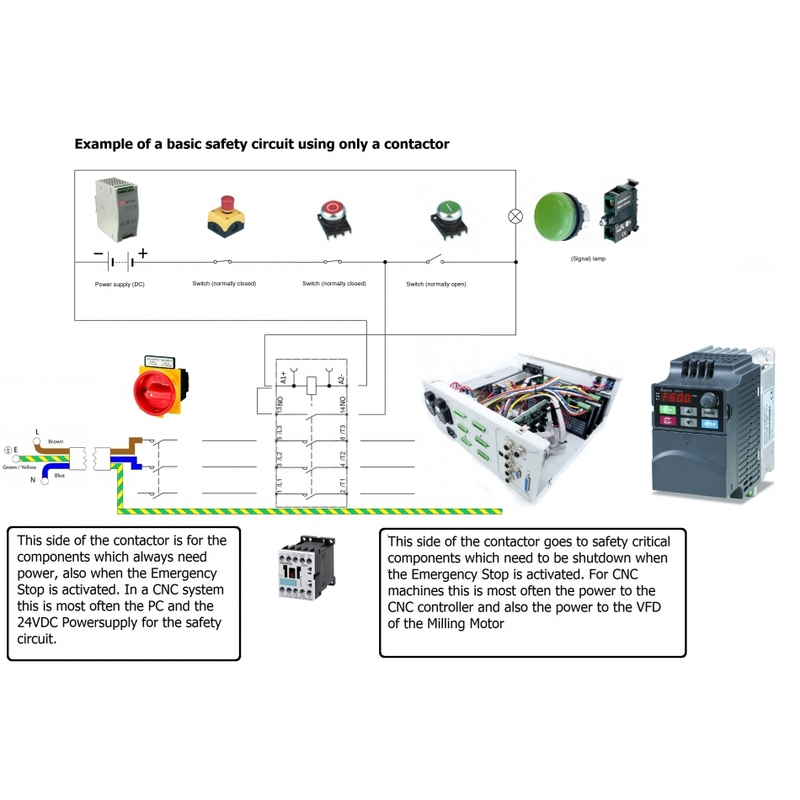 Keep in mind that there are many regulations, and it strongly depends on your application, if this basic circuit is ok, or if you need a more advanced system using for example a Safety Relay.